Nayanthara, the leading actress of south film industry never stopped to surprise us with her dressings and makeup in every film she appears. It has been more than a decade she is ruling the south and yet she has not lost her charm! 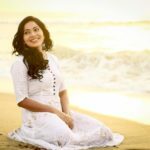 This Malayali beauty has a natural lustrous hair. Her hairstyles are always unique and bring the best out of her! 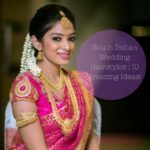 After taking a break from her career, when she came up with a bang on the movie Raja Rani, she teamed her outfits with front puff hairstyles, which is still loved by many women. Just like her acting, her dressings and hairstyles have evolved over a period of 13+ years since she started to act. Here we have complied top 11 hairstyles that has suited her best. This has become her recent favorite. She has been mostly seen in this hairstyle on the movies ‘Babu Bangaram’ and ‘Irumugan’. Be it a western outfit, or saree, or other ethnic clothing, this hairstyle blends so well and Nayanthara looks fabulous every time she styles this way. She loves to flaunt this with antique accessories to look more classy. This is one of the most effortless and simple hairstyle she loves to give a go for social gatherings and prominent events. 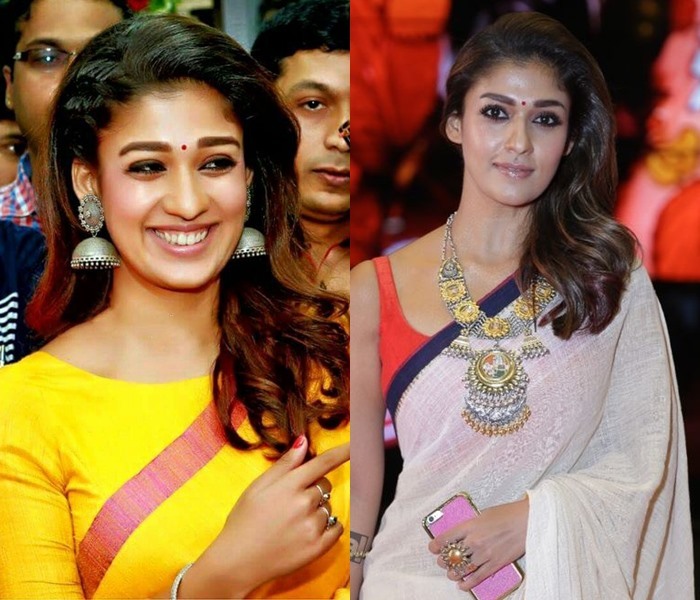 Nayanthara often sport this side swept hairstyle with handloom sarees and statement jewellery. The simplicity of this hairdo often gel so well with the no-fuss dressing style of the actress. Though Nayanthara was spotted many times with front puff, it became her trademark only after the success of the movie ‘Raja Rani’. It made her look fresh, appealing and drop dead gorgeous. No wonder, girls down south made it a go-to hairstyle thereafter. Instead of the boring straight braids, Nayanthara always wear this hairstyle with a front curls and keeping the braids on the side. Relaxed voluminous side braids often serve both stylish as well as simple traditional outfits. And with Nayanthara’s personal touch and style, this hairstyle is even more striking with all the outfit she has teamed it up with. She was seen in this hairstyle on the movie ‘Puthiya Niyamam’. She looked ravish on this hairstyle. In spite of those dark eyes, silver accessories, her hair won over everything and stayed as the center of attraction. Those who think curls are a bane should instantly be electrified by the glorious appeal this hairstyle bring on to Ms.Nayan. This is another widely appreciated hairstyle sported by Nayanthara in the same movie ‘Puthiya Niyamam’. This should be on the good book of every woman who like to style saree with curls! Gone are days, where neat sleek hair is a thing to be fancied. Long bouncy hair with lot of curls is something of an eye-catcher, and you will agree to this after seeing our lead lady here. This hairstyle is from the movie ‘Bhaskar the Rascal’. Nayanthara used this hairstyle on other movies like ‘Ithu Kathirvelan Kadhal’,’Ithu Namma Allu’..etc. This is a simple and chic hairstyle which goes well with sarees and salwars. This is a refreshing hairstyle she flaunted on the movie ‘Nanum Rowdy Thaan’. All that are needed was a hair band and curls at the end. With a chic puff in the front and notable curls to lock the hair, she looked lovely and lot younger on the movie. Who wouldn’t love a messy bun? A statement hairstyle like this is bound to make anyone beautiful. And no doubt it made Nayan look so majestic. 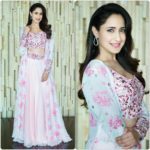 She showed off this one on the moive ‘Babu Bangaram’ and ‘Nanum Rowdy Thaan’. This hairstyle was so on-point for her facial features. 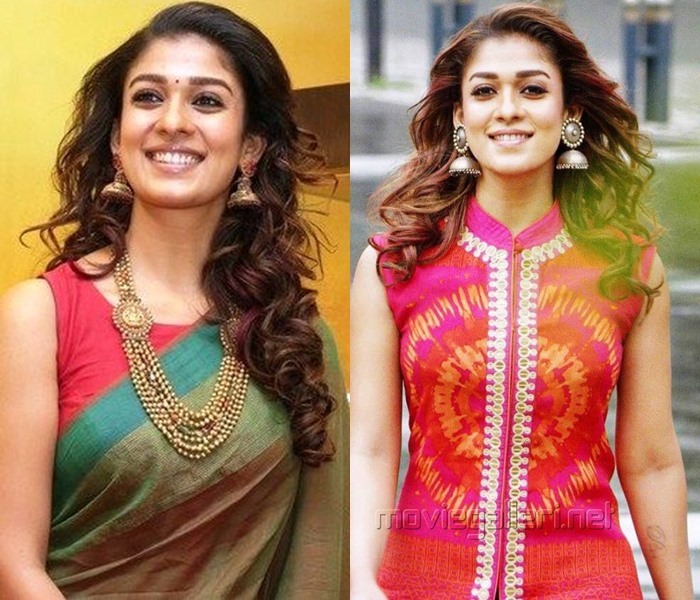 This evergreen hairstyle is not only a favorite of millions of girls but also Nayanthar’s too. For most of the casual events, we can see her wearing the most down-to-earth ponytail and still carried off her look with such ease and elegance. She was seen in this hairstyle on the movies ‘Thani Oruvan’ and ‘Maya’. Needless to mention this hairstyle makes her look youthful too. It was out of trend now. 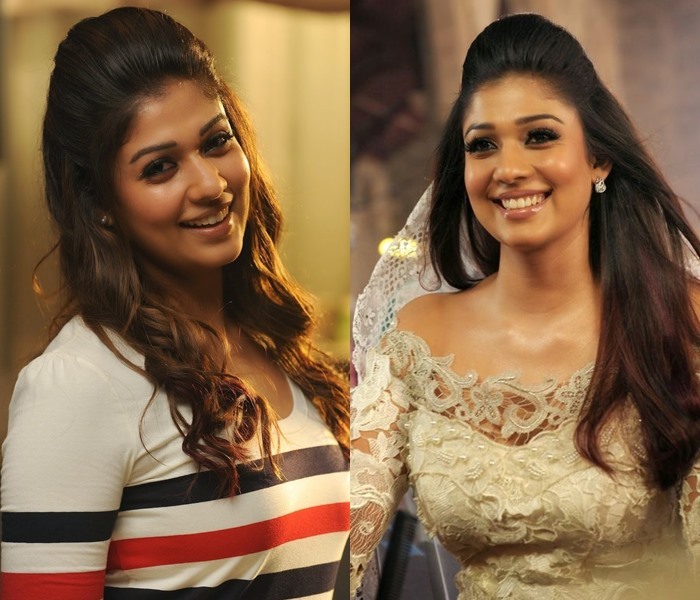 However, for Nayan, it remained the most favored years ago. Though we don’t see her on this now, we can’t deny she always nail her outlook with this hairdo. 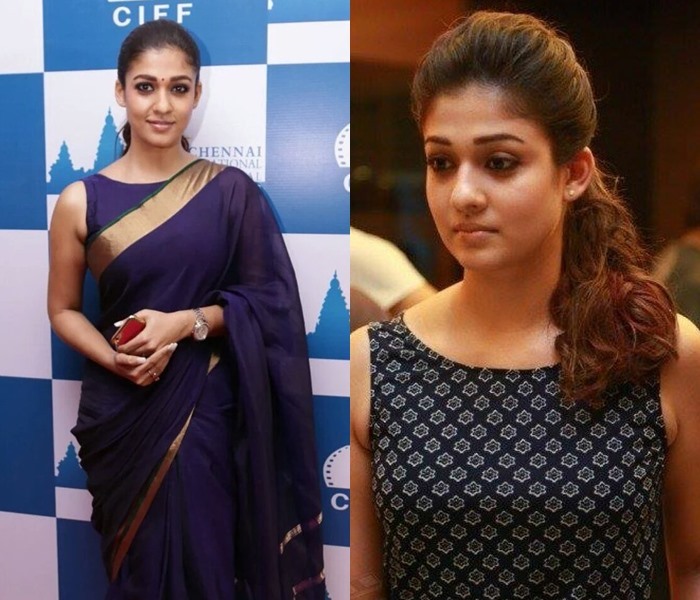 Well..these are some of the hairstyles that looks strikingly great on our favorite actress Nayanthara. She is one actress who doesn’t go overboard with her dressing or makeup or hairstyle no matter what. She always likes to keep things simple and look regal in it. The reason most of women love to follow her fashion sense is because of this simplicity. And we love her more for this! Next article18 Cotton Saree Blouse Designs for a Stylish Look!